The phone sitting on the seat of my Tiger rings. 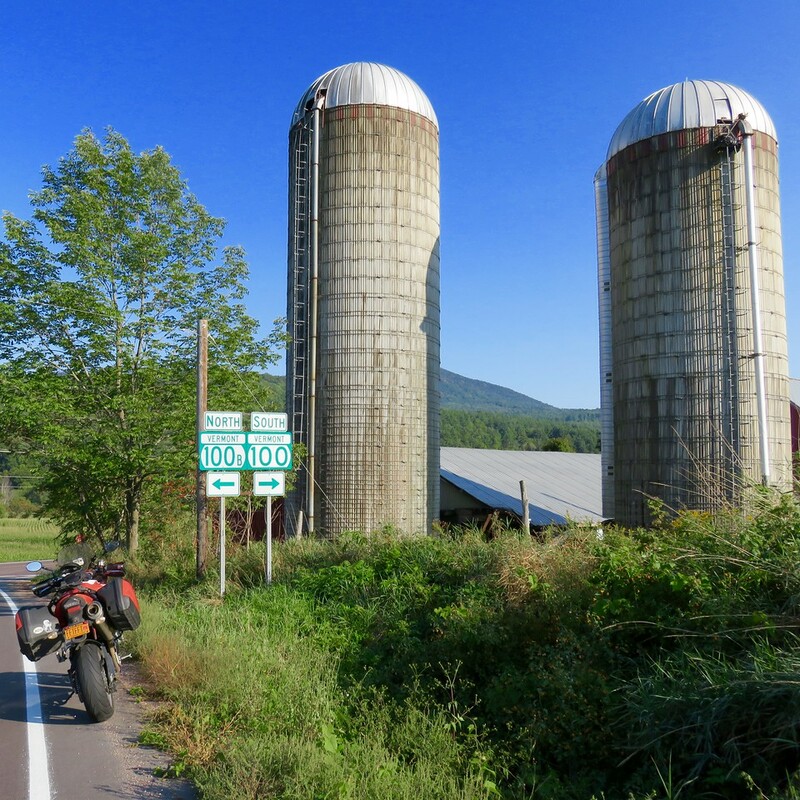 On Sunday I opted to make the most of the waning summer weather and set off to Burlington, Vermont. My plan was to take a photo of the Whispering Giant that stands there in Battery Park. I’m going to let you in on a little secret. When you ride 300 miles to a place, you have to ride 300 miles back to return to where you came from. Once I’d snapped my photos and had some Gatorade, I began my long trek back home. Knowing that I would be able to catch a late 10pm ferry if I had to, I opted to follow Vermont Route 100 south until the daylight ran out. No point in hurrying if I didn’t have to. Though I’ve spent the last four decades going through the process, each autumn when the sun begins to set earlier it still smarts. That feeling of having to squeeze the last of the summer juice out of each day never gets any easier. 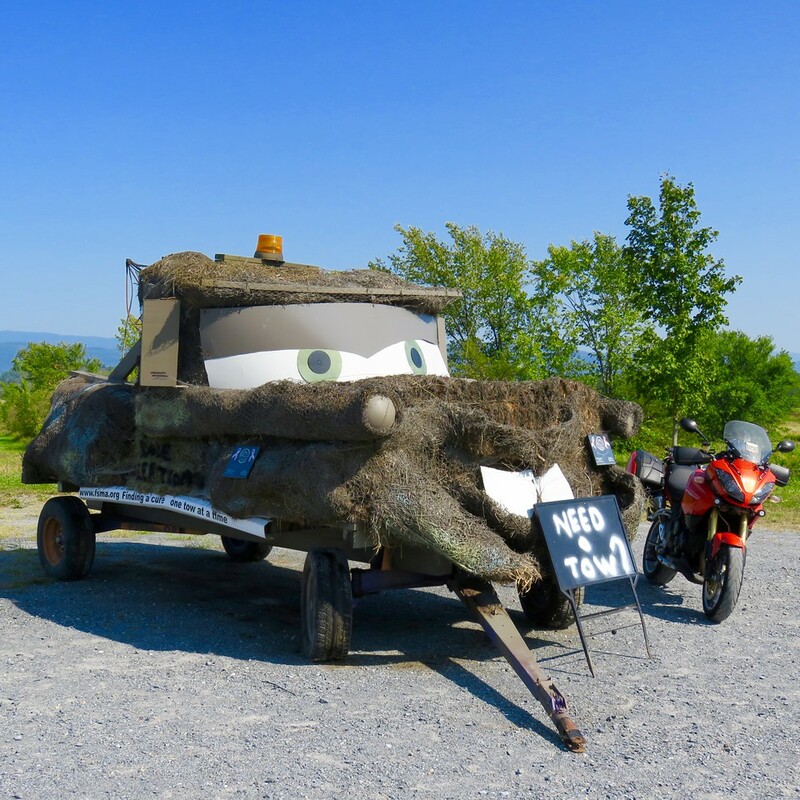 It was pretty great to spy a Tow-Mater made of hay along Route 7 in Vermont. There were several other hay sculptures along the way as well as a big metal robot-like man and a huge jug of maple syrup that I didn’t stop for. I hate when I do that. Now I’ll have to go back and check them out. How many times do I have to tell myself – just stop for the damned thing! 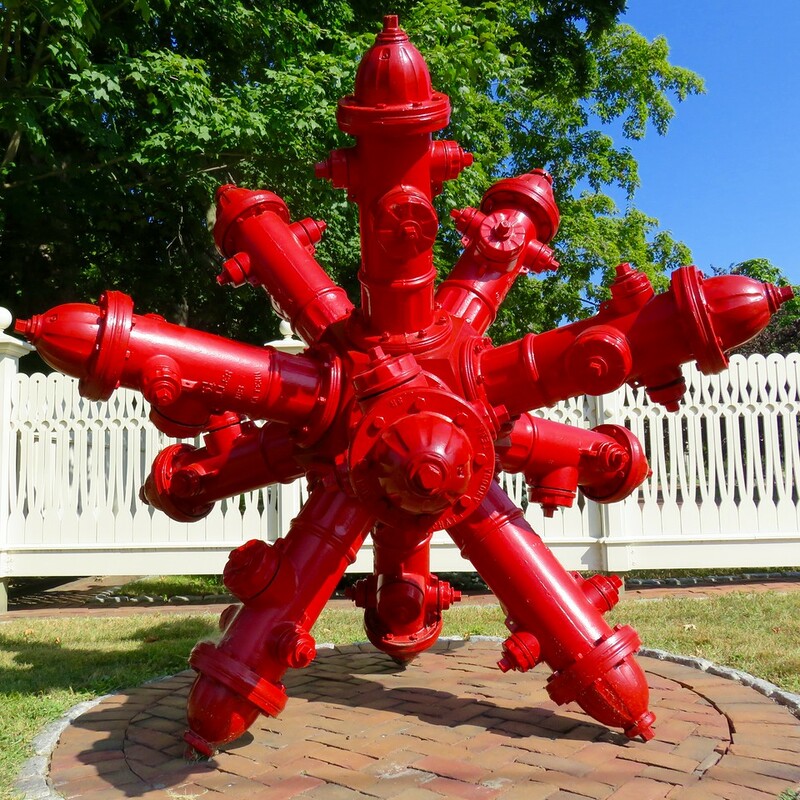 I did manage to stop for this awesome jack-like sculpture made of fireplugs. It was right on the main drag in the town of Shelburne, Vermont. I had seen a photo of it on Tracy’s Instagram feed from when he was moseyin’ through the northeast. I couldn’t resist getting a closer look. Pretty nifty, huh? 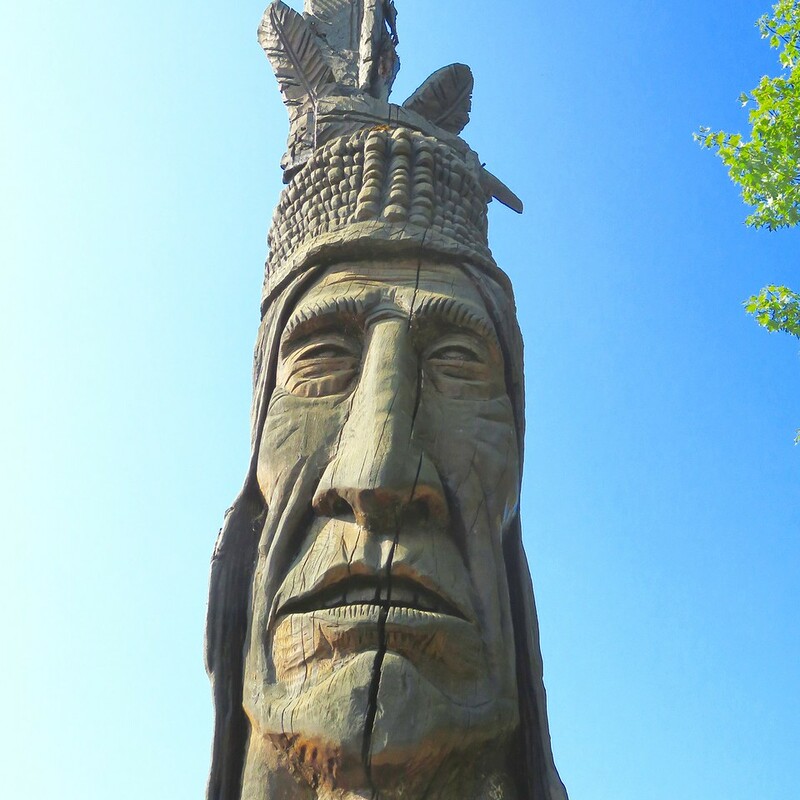 This is Chief Grey Lock – the reason I found myself in Burlington, Vermont. There is something about the way his mouth and teeth are carved that I really like. He stands 24 feet tall to the top of his feathers and is in pretty good shape overall. So after this visit, that leaves just one more Whispering Giant on my close proximity list, the one in Laconia, New Hampshire. Though I still have a few weeks before the grand tour comes to a close at the end of October, I’ll have to make a concerted effort to get up there to see it. But, I suppose anything is possible. I don’t think there is any way around having to get yourself off of the island more regularly. For someone who likes to wander, even when there are things and people that you love here, there just isn’t enough room to satisfy that need to be in wide open space. There just isn’t. Riding off the island early in the morning on the weekends isn’t so bad but I try to be thoughtful with my timing when riding back on otherwise I just take the ferry. I always feel like the miles are easier on the way there. I think it’s the anticipation of arriving at what you set out to see. The last few miles the countdown begins. I love it when you can see “it” from a distance as you approach. So exciting! No, I don’t think fireplug is an LI term. I don’t know where or when I picked that up. OMG, that fireplug statue is incredible. I admire your willingness to ride far with little excuse. I’m the same way. For us, the journey offers delights beyond a mere destination. The fireplug statue rocks, but I love the tow-mater, too. I hope you’re off to explore today, too! Excellent list. I especially like the first two suggestions. Now that I’m location independent and living in Florida, I think about what I would have done with the luxury of this much time back home in New York. I would have seen and done much more! And when I go home to visit I look forward to doing just that.